There has been a revolution in the IoT space and has been labelled as the fourth industrial revolution. Organizations are increasingly exploring and implementing solutions on how IoT can give them an edge. Simply put, IoT facilitates businesses with a powerful data resource amassed from devices that were traditionally an arduous task to derive data from. People are progressing towards a reality where consumers are steadily becoming overly dependent on machines and data. Most individuals possess multiple devices with each producing mammoth sized data, possibly on a single and vulnerable network. Slowly governed by IoT, consumers are vulnerable to malicious cyber attacks as there are numerous potential access points with pertinent information at the disposal of hackers that further exploit it for personal gain. Consumers are not just losing out on data but also money and ideas as a result of cyber intrusions. Most smart devices lack a layer of overly complex security. While IoT may be empowering, one needs to better protect the privacy by investing in a robust cyber security solution. Meeting and exceeding client needs is France headquartered ITrust that curbs such cyber threats with great efficiency through its flagship product Reveelium. Gaining a deep understanding on Reveelium, the solution has been designed and developed as a behavioural analysis engine that is leveraged to detect weak signals and anomalies in information systems. The company proffers an AI driven algorithm that the team has been continually developing for half a decade backed by three international laboratories. The solution ceaselessly works towards identifying and detecting security anomalies of most security problems that are encountered on a daily basis, As the number of devices within a network escalate generated by servers, databases and applications, Reveelium along with the team of experts in cyber security expertly analyze any odd behaviour of information systems and searches for weak signals amidst the hoards of data. The time utilised to trace an incident is drastically reduced as these incidents are detected even before they have a chance to attack. It also permits instant threat analysis rather than post incident processing. With the perfect blend of trending technologies such as artificial intelligence, big data and machine learning, ITrust harnesses the power of these technologies to address cybersecurity issues. The solution is a next generation security tool whose richness and strength lies in the use of three complementary engines which is the weak signal detection engine that is the result of advanced research in mathematical algorithms, business correlation engine that has originated from the experience of engineers and safety consultant. Both the engines are based on a global knowledge base where the memories stored in the Reveelium are used to make each of the Reveelium benefit from the experience of others. The deployment of the easy-to-install solution translates into higher and immediate ROI and the detection capability of Reveelium increases the productivity and analytical capacity of the teams in charge of supervision. Interestingly, the tool makes it possible to divide by 50 the data analysis times by the supervisors. The availability of 3D technology helps in detecting anomalies where no in-house team could even think of. Reveelium can be supplemented by a SIEM module for customers who do not possess data centralization. If there is any change in behaviour it can be viewed on the management platform. So all this is automatically detected and brought back within the SOC (Control and Supervision Center). 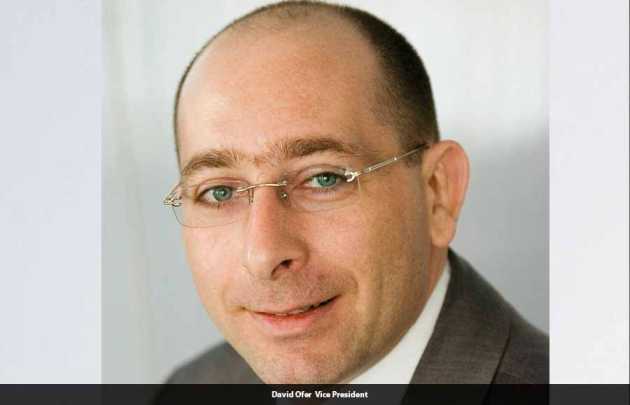 This is how we are able to provide a good efficiency level,” adds David Ofer whose specialities lies in General management, Finance, Sales, Marketing , Software & Services industries and is the Vice President and Board Member at ITrust. The SOC optimizes the cyber-protection while simultaneously assuring the availability of services at the best cost and within the framework of regulatory compliance. Another novel product that belongs to the portfolio of solutions and services at ITrust is IKare, with a single console, automates the implementation of best security practices and vulnerability management. Another novel product that belongs to the portfolio of solutions and services at ITrust is IKare. This solution proposes to scan information systems and infrastructures to identify all vulnerabilities. Our solution reduces the IT vulnerability of companies by up to 90%. This feature-rich solution extends its benefits to clients such as lower risk of intrusion, intuitive and user-friendly console, simplified management of virtual groups and automation of vulnerability analysis process.